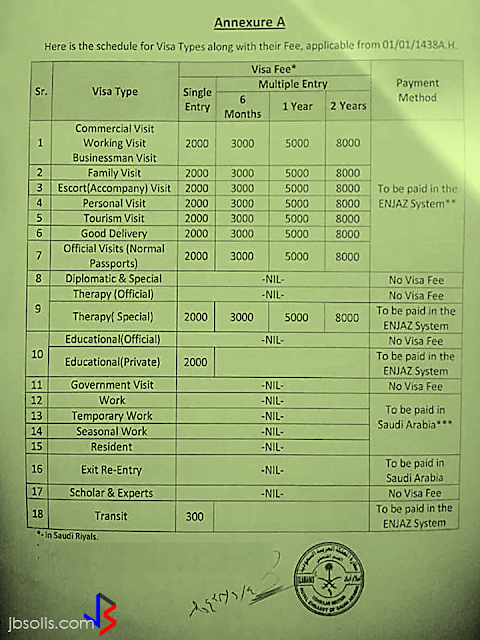 The Saudi Arabian Authority has recently published the complete list of visa categories with their new fees that can be paid in Enjaz System in their home country during application for Saudi visa. As per new visa rules, there are specific visa types that need to be paid in Saudi Arabia instead of paying it at Enjaz system. The new visa fee of SR2000 for single visa will be applied to the following categories only. This will be paid in the home country through Enjaz System. However, a member of the High Committee for Hajj and Umrah, Nasir Toruk, announced that King Salman bin Abdulaziz of Saudi Arabia has issued a royal decree that will cancel Hajj and Umrah visa fees starting last year.